This ceramic pot is stylish home for indoor plants, including on-trend succulent species. 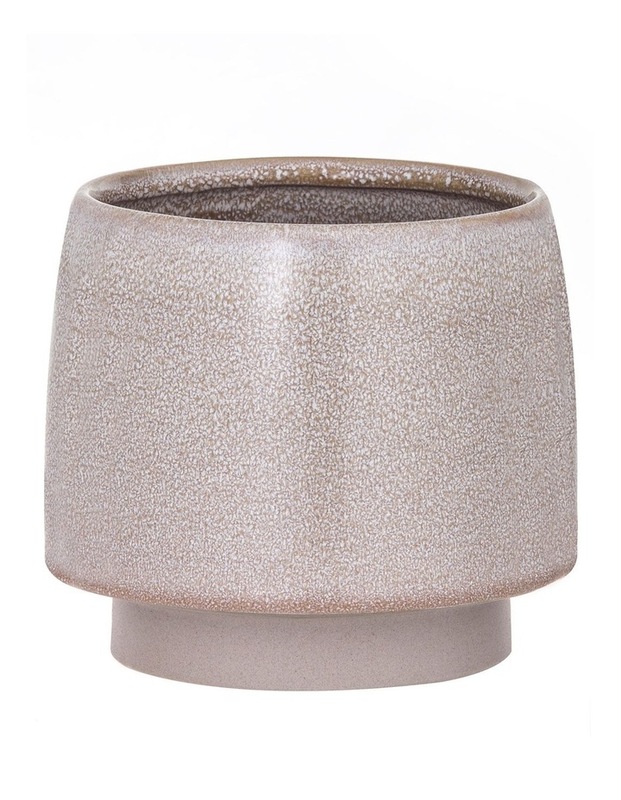 Its shape is arty yet modern and it has a warm, muted pink glaze with intricate flecks of white. An exposed cement base contrasts with the glossy glaze for texture and interest. Size is perfect for side tables, planters and on the floor. If using with living plants, do not plant directly into the vessel. A smaller sized Pennie Pot is also available.